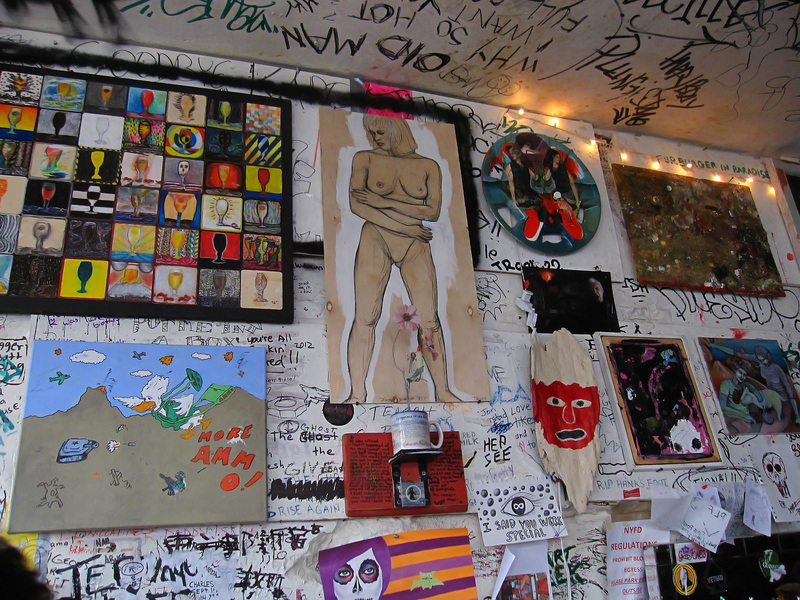 I popped into Mars Bar this last Sunday for the new, and possibly last, art show and barbecue. I was (happily) shocked as I walked in to see the room not only jam-packed, but full of so many people I know. It struck me then that this is what I'll miss most of all - a place where, at any given time, I can go and find friends and acquaintances, and pick up our conversation right where we previously left off. Some I'd not seen in months, but time flies out the window here and minutes can turn into hours, as a lifetime can slip away inside a fairy hill. I think this is the most new art I've ever seen for a show. Be sure to drop by and check it out - it's a great collection, too much for me to show here (and better to see in person anyway). 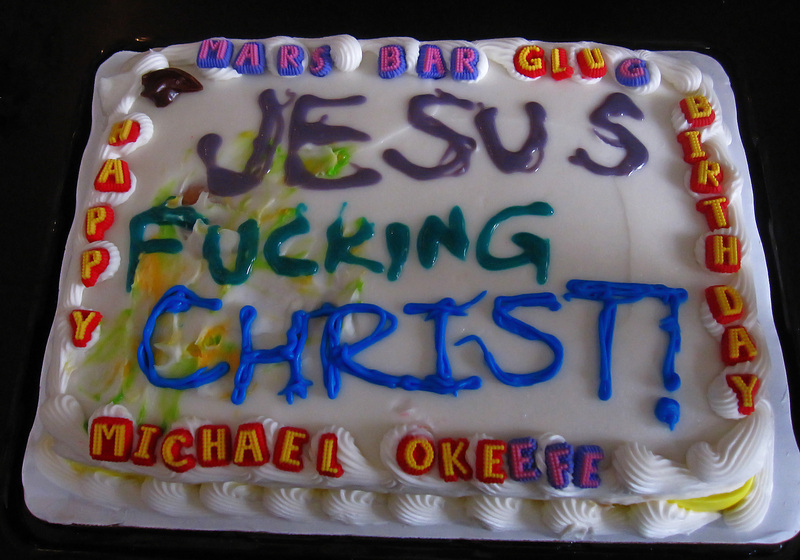 The best work of all, though, was this cake hand-decorated by Marty. Let's see, we've got beer, money, rib bones, chocolate eggs, matches, plates, a straw...I hear it was pretty tasty, too. A good time was had by all and it makes me sad to think about losing such an unrestrained, fun and creative place. The drinks are just a bonus. Be sure to check out more photos from the day at Marty After Dark and Nadie Se Conoce. More of my Mars pics can be found here. Great photos, Goggla! 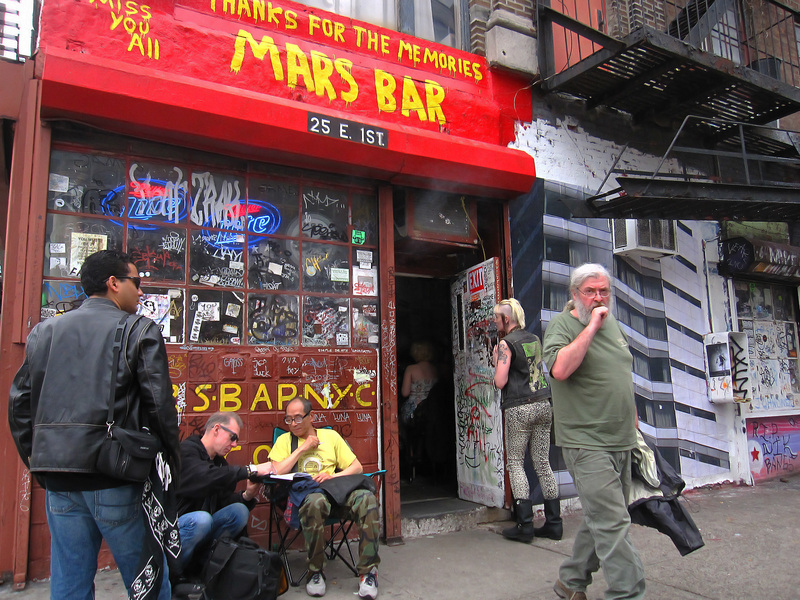 It was so great to meet you and hang out with you, Ed, Lisa and everybody else at Mars Bar. I hope we all find out when the last night is going to be so we can all meet again. It truly was a magical day and evening. It was great to meet you, Marty, and the cake was awesome! The little blob of dark brown frosting in the corner still cracks me up. I'm so glad to have met Lisa and hope to meet more people from the virtual world before Mars is gone forever. It was definitely one of the best times I've had there. I so, so wanted to come to this but was too busy fighting a cold (and losing) to join you. 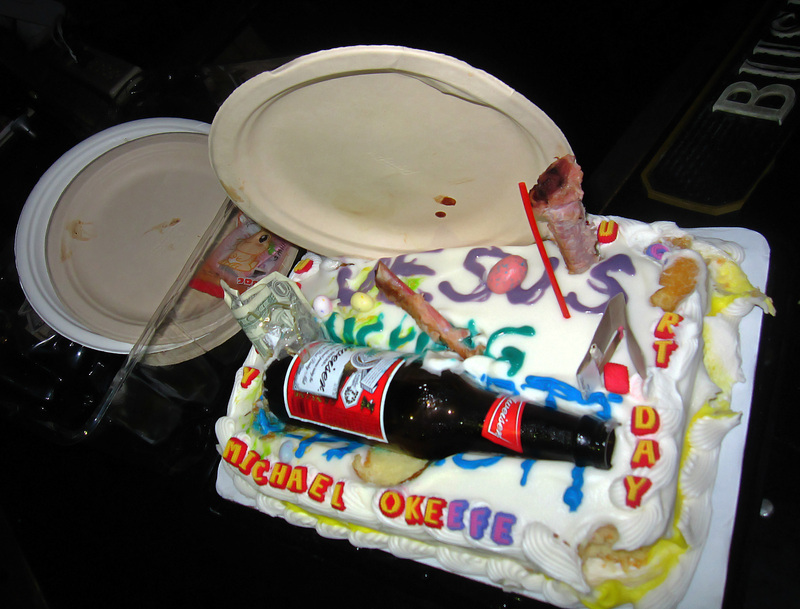 That cake looks awesome. Great shots and love the cake! I was down Saturday, briefly, before I caught the train back to Brooklyn. I noted all the fresh art on the walls and wondered if the Mars was actually closing. Wish I'd come down for Easter, will be a little strange not to see it around anymore.